"Zombie passwords" are reused or unchanged passwords from previous database dumps aimed to exploit those who reuse passwords across multiple services and applications. User credentials such as email addresses and passwords are often reused across third-party sites. 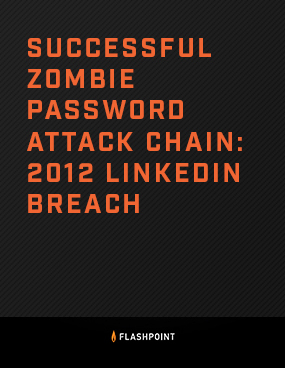 These poor password hygiene practices can amplify the consequences of a data breach, often resulting in “zombie password” attacks. While some data types become “stale” or less actionable over time, usernames and passwords retain value months and years after the initial compromise due to widespread lax password practices.